Labor chief demands Prime Minister step down after Attorney General announces plans to indict PM with bribery, fraud, breach of trust. Labor chief Avi Gabbay called on Prime Minister Binyamin Netanyahu to resign, following the announcement by Attorney General Avichai Mandeblit Thursday that he intends to indict Netanyahu on charges of bribery, breach of trust, and fraud in connection with three separate police investigations. 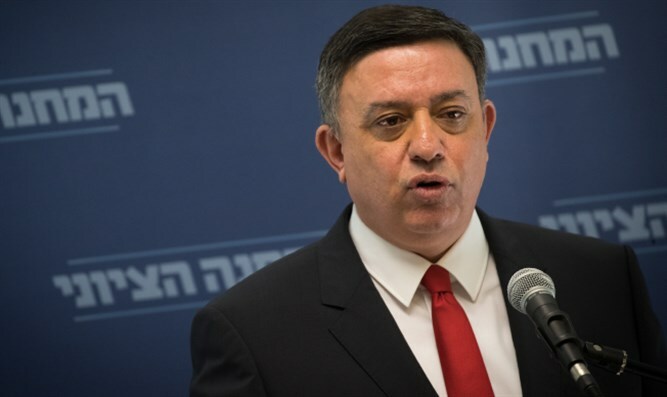 “Netanyahu is embarrassing the State of Israel,” Gabbay said Thursday night, shortly after Mandeblit’s announcement. "Mandelblit’s announced intent to indict Netanyahu on charges of bribery and breach of trust inserts law enforcement officials into the political arena in an unprecedented way, and on a very shaky legal foundation,” said Avi Bell, a law professor from Bar Ilan University and the University of San Diego, and a Visiting Fellow at Harvard Law School’s Project on the Foundations of Private Law. “If the legal theories that the Attorney General is introducing against Netanyahu become general law, a considerable part of the democratic life of Israel will have to pass through police interrogation rooms. If they remain restricted to Netanyahu, the partisanship will permanently damage public trust in the Israeli legal system." According to Mandelblit’s announcement Thursday evening, Netanyahu will likely be charged with bribery, the most serious crime he has been accused of by police, in the Case 4000 investigation – but only after a hearing with the Prime Minister. Case 1000 revolves around claims Netanyahu received expensive gifts from a businessman in exchange for favors. In the Case 2000 investigation, Netanyahu has been accused of advancing a law to ban the Hebrew daily Yediot Ahronot’s chief competitor from being distributed freely – in exchange for favorable coverage. Case 4000 involves allegations the Prime Minister pushed regulatory changes which would benefit the Bezeq telecommunications company, owned by Shaul Elovitch, in exchange for favorable coverage from a news site owned by Elovitch.